Do your executives cringe when you mention learning strategy? Are you continually trying to convince them of the value of a learning strategy? Part of it may be because they believe an effective learning strategy entails hundreds of hours of work and hundreds of thousands of dollars. They may have visions of dozens of outside consultants roaming your halls, interrupting work, and hindering progress. While horror stories abound, learning strategies can be built using an Agile process and can be contained within reasonable time, cost, and resource parameters. Here’s how. Many learning strategy engagements take so long and cost so much because their scope is just too broad. 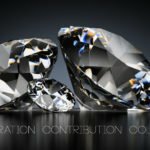 You can’t use one of these engagements to efficiently right-size your learning organization, identify the best set of learning technology, create competency models for all employees, assess the best off-the-shelf content for IT training, and assess the best certification programs for your software engineers. It’s just too much. Before you sign up for a monster project like that, meet with the right people in your organization and choose one high-priority, high-impact organizational challenge which will pay the biggest dividends once completed. Maybe your learning strategy should focus on determining the best sales enablement platform and related training. Or, maybe it should assess the best leadership development competency and coaching models. In both scenarios, the scope is narrow, which should reduce the time and resources needed for the strategy project. And make sure to document the parameters of the project in a detailed Statement of Work (SOW). You’ve likely heard the phrase “No man is a prophet in his own land.” And, it’s hard sometimes when you’re so close to your organization to identify and share what’s best. Sometimes, it can be politically challenging to state what really needs to happen. Expert learning strategists have had the benefit of working with hundreds of organizations and can bring that innate experience and value to your learning strategy. They’ve helped with dozens of difficult discussions with clients and can back their recommendations with primary and secondary research. Because of their previous strategy engagements, they come prepared with strategy processes and best practices. After a structured Kick-Off Meeting, they can hit the ground running in a very self-directed way. While an expert learning strategist can be very efficient with their processes, they can’t do it alone. They need help accessing and navigating internal systems. They need help with warm introductions and expectation-setting with internal stakeholders. Most importantly, they need your understanding of the organization and an honest review of the current state, including both bright spots and opportunities for improvement. A learning strategy engagement can be a huge success. Here are the keys to making it so. If you follow these steps, your learning strategy project will be completed quickly and on budget, and will provide you the high-impact insights you seek.